The history of using unconventional small or ‘midget’ submarines to attack much larger warships in harbor can be dated back to September 6th 1776 when the American revolutionary Turtle attacked the British warship HMS Eagle in New York Harbor. Brave as it was, that attack was unsuccessful. Although it influenced later generations it was a one-off design way ahead of the times. The direct linage of almost all modern combat swimmer operations and Swimmer Delivery Vehicles (SDVs) goes back 100 years to November 1918 however. Two Italian navy officers coaxed the world’s first wet-sub, the Mignatta, into an enemy harbor and sunk a battleship(!). It is important because a) it was the first b) it was so successful and c) it is almost forgotten and needs to be remembered, especially in the wider context of Special Forces history. 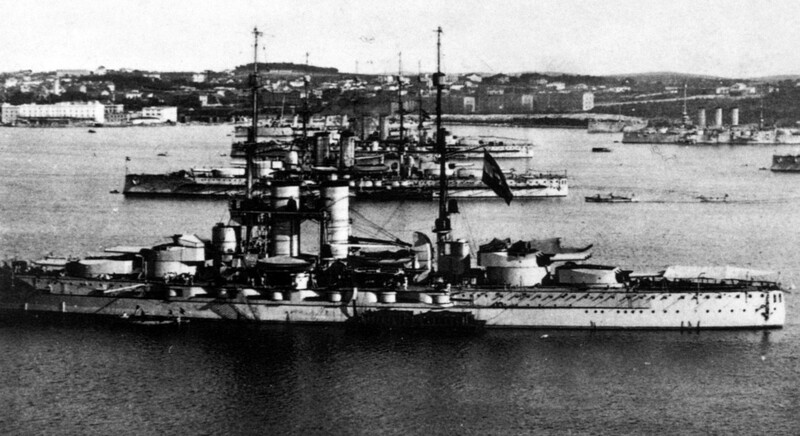 During World War One Austro-Hungarian naval power hinged on it four Tegetthoff Class dreadnought battleships and twelve older battleships. This powerful fleet tied down the Allied Italian and French Navies in the Adriatic by adopting a tactic of strategic inaction, spending most of the war sitting it out in its home port of Pula, Croatia. This still had a major impact on the Western Allies however simply by the fact of its existence; the Allied powers could not refocus their fleets in Northern Europe. Ironically Italy adopted a similar strategy during the next war with its Fleet in being. Austro-Hungarian dreadnoughts in Pula - CLICK for HIGH-RESOLUTION (3200px) image. One of the four dreadnoughts, Svent Istvan, was sunk at about 0400hrs on 10th June 1918 by an Italian ‘MAS’ torpedo boat. It was an incredible victory for asymmetrical warfare and reinforced Italian belief in unconventional ‘David vs Goliath’ solutions to the elusive Austro-Hungarian fleet. Austro-Hungarian dreadnought Svent Istvan* after the attack, and MAS-15, the small torpedo boat that inflicted the blow. 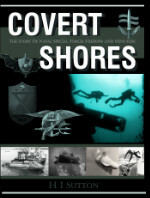 Learn EVERYTHING about Special Forces subsCovert Shores 2nd Edition. A world history of naval Special Forces, their missions and their specialist vehicles. SEALs, SBS, COMSUBIN, A-DYK, Sh-13, Spetsnaz, Kampfschwimmers, Commando Hubert, 4RR and many more. Italian naval architects designed a range of innovative small boats to tackle the Austro-Hungarian navy. 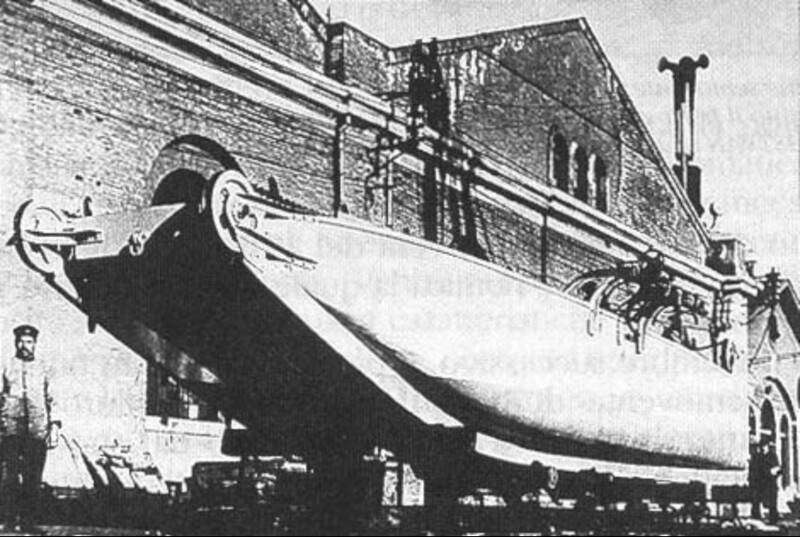 This photo is of an anti-submarine version, MAS-412, which entered service just after the war in 1919. Photo thanks to Olimpio Guido. One of the most innovative designs, the Grillo (grasshopper), was a torpedo-armed electric-powered punt with chain ‘tracks’ running around the hull. These allowed it to climb over the anti-submarine and anti-torpedo nets which were laid around the battleships. Development of the first Barchino Saltatore (jumping punts) started in 1917. The craft was a small wooden boat of about eight tonnes, 16m (52ft) long and just 3.1m (10ft) across. It was generally not considered seaworthy due to its small size and slow speed but it was suitable for operations in sheltered waters such as harbors, which was the point. It had a four-man crew and carried two 450mm (17.7”) torpedoes on davits that could be swung out over the side of the boat to allow the torpedoes to be dropped into the water. Lower images from Anaim.it -highly recommended! The first attack on Pula launched by two Grilli in April 1918 was unsuccessful. Although the two craft started their attack at night, their slow speed meant that they were still on their way through the defenses at daybreak and were easily spotted. With no means to escape or return fire the punts had to be scuttled. 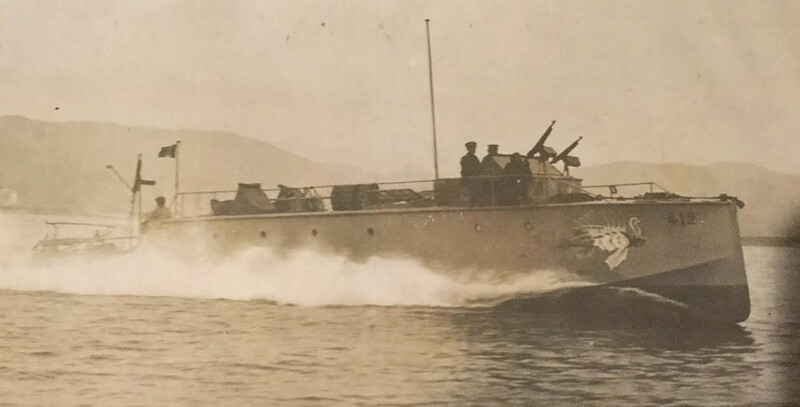 The Italians were not deterred and on 14th May 1918 another punt, named Grillo and commanded by Captain Mario Pellegrine, made an attempt on the key port of Pula. The battleships were defended by some five layers of nets, and using the tracks, Pellegrine was able to pass the first four without being spotted. On the last obstacle they were spotted by a harbor-defense steamer which was patrolling the area. The defenders opened up with cannons and machine guns against the slow moving and unarmored craft. Taking overwhelming incoming fire, the Italians reluctantly had to scuttle their craft like the previous two and swim for shore where they were captured. Other naval officers were also looking at ways to overcome the net defenses of Pula. Thirty seven year old Major Raffaele Rossetti, was developing an entirely new technology specifically for the Pula problem. By modifying a torpedo to run slowly and carry two pilots, it could be used to carry two limpet mines into the harbor, over the nets and right up to the targets. The idea had started in June 1915 between Rossetti and a Chief Petty Officer, Luigi Martignoni. 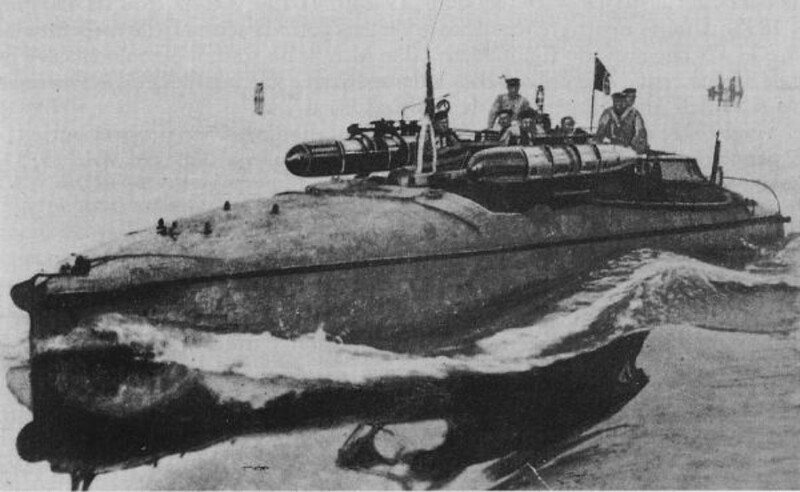 Rossetti was taken by the idea of adapting a torpedo as a form of human transport for attacks and submitted a proposal to his boss. The idea did not gain traction despite multiple attempts to get the attention of senior officers. Rossetti had faith in his concept and began to build prototypes in secret, without the knowledge of his superiors. Rossetti chose the naval base at La Spezia on Italy’s west coast for his experiments, a location that has ever since been the main base of successive generations of Italian frogmen. Work took several years and the first trials were not possible until January 1918, just at the same time that everyone was looking at the Pula problem. 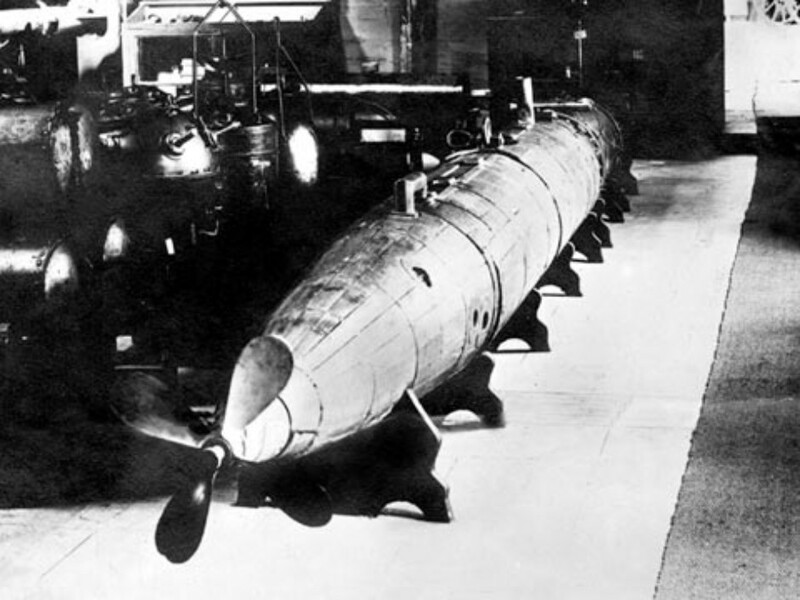 The torpedo was based on a regular B57 600mm (23.6”) device of unusual construction, with copper hoops like a barrel. Instead of electricity, the motor used compressed air to drive two increased-diameter propellers which turned in opposite directions, an arrangement known as contra-rotating. Unusually the torpedo had no fins or rudders and had to be steered by the gestures of the pilots. In order to both reduce its speed and increase its range the air pressure was reduced by about a quarter, giving just 4kt which was slow enough not to wash the pilots off. Range was about ten miles in five hours, considerably slower than the 4kt top speed. Critically, although they wore diving suits, the pilots did not have any means of breathing underwater so the torpedo was set to float just below the surface leaving the crew’s upper bodies above water. In this sense it was not a submersible, but in both concept and lineage it is the key forbearer of all ‘human torpedoes’ and SDVs (Swimmer Delivery Vehicles) that followed. Rossetti’s experiments got the attention of another young officer, twenty six year old Lieutenant Raffaele Paolucci. Paolucci had himself been working on a plan to attack the battleships at Pula using the tactic of swimming with a limpet mine in tow. His theory was that the swimmer would be transported close to the target by motorboat, and then swim the last mile or so while dragging the mine, which was fitted with floatation bags. At the target he would attach the rope to the target and deflate the floats. He would then set the fuse and beat a hasty retreat, ultimately rendezvousing with the motor launch and returning victoriously to Italy. The reality was that it was not practical to swim to the target in this fashion. Despite repeatedly practicing in La Spezia harbor or Venice’s lagoon, he gave up on the idea as impractical. Having abandoned the swimming approach, Paolucci was fascinated to learn of Rossetti’s ‘human torpedo’ and wanted a piece of the action. In fact, the phrase human torpedo (siluro umano) had not been coined then and Rossetti nicknamed his contraption the Mignatto, Italian for Leech. Paolucci asked to become involved and soon found himself as the second crewman, sitting behind Rossetti. It’s a trait among many of the pioneers in this field that both Rossetti and Paolucci expected to conduct the live attack themselves rather than delegate it to more expendable subordinates. They are not alone in this within the exclusive community that we now call the Special Forces. As well as mechanical inventiveness, open mindedness and the tenacity to make their ideas a reality within a stiflingly bureaucratic hierarchy, the pioneers also possessed an abundance of self-confidence and the bravery to see it through. They were of a certain breed of men who deserve a certain amount of awe and wonderment from the rest of us, regardless of allegiances and politics. Whatever rare mix of qualities and luck it takes to succeed in pioneering new and untested tactics, they had it in bucket loads. The Italian attempts to breach the harbor defenses with leaping punts in the spring of 1918 had petered out and the human torpedo now looked like the best way to deal with the Austro-Hungarian battleships. Rossetti and Paolucci set off for the attack as planned on the 1st November. The Mignatta was carried to Pula first by a torpedo boat, and then by a smaller motorboat before being launched less than 100m (300ft) from the harbor breakwater. From there Rossetti and Paolucci ran on the surface, manhandling the craft over three layers of nets. Finding a target was easy because unlike on previous Italian raids the battleships were fully illuminated. This was because they had just been handed over to Slavic crews, who were in a celebratory, rather than belligerent, mood, there were minimal sentries and no one aboard was thinking much about being attacked. To make matters worse the ships had open portholes and bulkhead doors, they were completely unprepared for the imminent attack. Rossetti and Paolucci could probably not believe their luck, and it’s unclear whether they perceived that things had changed. After about four and a half hours of riding the Mignatta, they aimed it at the pride of the former Austro-Hungarian fleet, the flagship SMS Viribus Unitis. ‘Viribus Unitis, which meant “With United Forces” in Latin, was a thoroughly modern battleship of 20,000 tons with twelve 12” (305mm) guns in four turrets. She had actually been renamed the Jugoslavija just the day before, but it was to be a short-lived name and she went down in history, along with many of her crew, as the Viribus Unitis. After hours in the water the Mignatta was by now playing up mechanically, and had started to sink. She was brought back to the surface by releasing some of the precious compressed air used to propel her, and was now on her last legs. Fortunately for the Italians she made it to the mighty battleship. They took the Mignatta to the port (left) side of the battleship to begin their attack. Apparently Rossetti noticed that there was a small boat moored nearby, and fearing detection, decided to take the Mignatta around under the bow to the starboard (right) side. Hiding in the shadows along the waterline they released the first of two 170kg (375lb) TNT warheads that were mounted in tandem to the nose of the craft and secured it to the side of the ship by a magnetic clamp. The fuse was set to two hours’ time, shorter than the six hour maximum. This would blow it at 0620hrs before it was light enough for the mine to be detected. The Italians decided to set the second warhead for two hours also, and released the Mignatta to run unpiloted. It probably ran in loose circles until it ran out of power, and then ended up drifting alongside a freighter that was moored in the harbor. The two crewmen swam for shore but were soon spotted by a surprised sentry on the Viribus Unitis. What happened next is a common problem for frogmen. Upon capture they were promptly taken aboard the very ship that they’d just attached a mine to! Predictably they were presented to the ship’s captain, who quizzed them on what they were doing in the harbor. The story goes that Rossetti told the captain that they had been dropped by an aircraft, and that the ship was about to blow up. Surprisingly the captain took their warning at face value and promptly ordered the abandon ship, jumping over the side with the two Italians and many of his crew. When the explosion failed to materialize they were taken back aboard the Viribus Unitis and were probably subjected to some roughing up, and were stripped of their uniforms. At 0620 there was a massive explosion that lifted the massive battleship several feet upwards, and knocked people off their feet. With the portholes open and bulkhead doors open she began to take on water. As the dust settled the crew considered locking the Italians below the waterline and letting them drown, but they were instead allowed to abandon ship again with the rest of the crew. 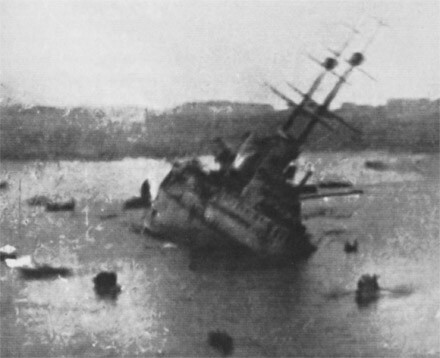 Shortly later the ship capsized and sank. Estimates of the death toll vary but it seems likely that many of the ship’s company perished, a sad footnote on an otherwise groundbreaking moment in history. For the first time, a warship had been sunk by something approaching a frogman attack. The 20,000 ton battleship had been sunk by two men riding on a human torpedo that was only a 30th of its target’s length and a mere fraction of its displacement. We should not forget the other warhead, still attached to the Mignatta. It detonated shortly after the first and immediately sank the freighter, putting the Italian’s score at two ships in one attack. 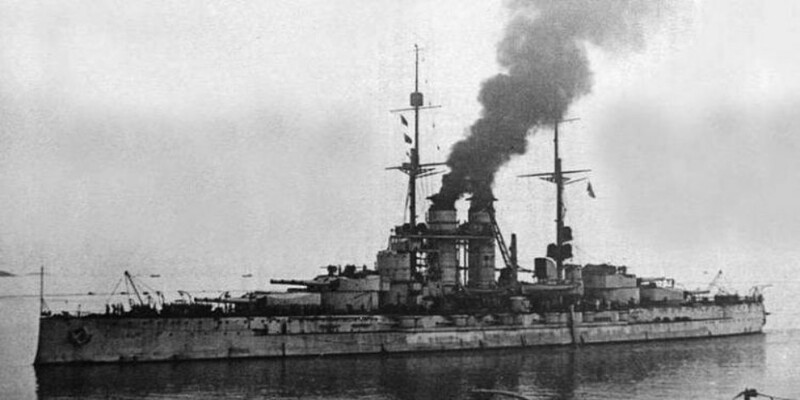 Viribus Unitis was not an Austro-Hungarian battleship at the time. The war had not being going at all well for the Central Powers and the Austro-Hungarian Empire was falling apart, financially ruined and facing rebellion and dissent among its army units and factory workers. In early October the Central Powers approached the United States to start peace negotiations. The imminent Austro-Hungarian capitulation triggered unpredictable events. Suddenly, at the end of October 1918 Hungary split from the union with Austria, essentially ending the State. The monarchy collapsed overnight, and the Austro-Hungarian fleet at Pula was transferred to the breakaway Southern Slavic Council over the last two days of October 1918. In a sense, Viribus Unitis was one of the most powerful warships ever to serve in the Croatian Navy… for one day! Looking back today we can see that the Mignatta was quite a limited craft, and that it not been for the inattentiveness of the Slavs the attack would probably not have succeeded. It could not operate fully submerged so the crew were liable to visual detection, made worse by a trail of bubbles produced by the compressed air motor. It was also hard to operate with the unarmed crew hanging on with minimal control. But progress requires many small steps and the Mignatta was a massive leap towards the later human torpedoes and SDVs. Most of what follows can be traced back to this craft and its ingenious and brave Italian pilots.